Under system and security click on check for performance issues. When we purchase computer system for first time many manufacturer’s programs are installed on your system which are useless. Apart from this many trial version softwares are installed on your system but after expiry time you forget to remove those. In this way your computer becomes a collection of useless garbage of programs. so at first uninstall all useless programs from your computer. It will improve your system performance. Many installed programs run in your computer at start up which you do not require . so to identify those programs type in search box msconfig and press enter. A pop up will open ,click on startup tab then uncheck the program which you do not want to run at startup. Now click Apply then ok. now only your desired programs will run at startup. Fragmentation slows down your computer after a certain time. Disk defragmenter rearranges your fragmented data on hard disk. Generally disk defragmenter runs on a fixed schedule but you can do it manually. Unnecessary files uses disk space and it slows down your system speed. So use Disk cleanup to remove temporary files, empty recycle bin, and remove useless system files . Sometimes we run many programs simultaneously. It affects computers processing speed badly. So to run your computer fast you should avoid running so many programs simultaneously. You should run only those programs which are really necessary. In this way your computer will perform better. Restarting computer clear out its memory and ensure that any errant processes and services that started running get shut down. So you should restart your computer at least once a week if you use it a lot. Sometimes your computer runs slowly because of your system is infected with virus or spyware. So always use a good quality antivirus software and scan your system regularly. 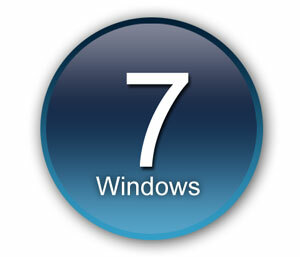 In this way by following above tips you can optimize windows 7 for better performance.